Flower Bunch Cutter Table mountable guillotine cutter with oil hardened blades for sharp cutting and longer blade life. These Stem cutters cut the stems sharply without pinching them. - Hardend Balded for longer life. Drop forged from selected carbon steel, blades heat treated, dip sleeve. Riding on unfathomable volumes of industrial expertise, we are actively committed towards manufacturing world class Steel Flower Cutter. 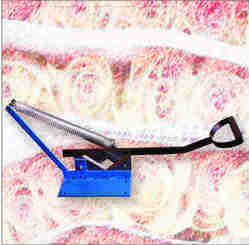 As per the needs and requirements of our clients, we are involved in providing Mini Rose Cutter. • By pass cutting action. Eleven Butterflies and Flower Cutters with Metal Storage Tin Set of eleven garden themed metal cookie cutters, including different butterfly and flower shapes, for making all types of biscuits and cookies. Packaged in a handy storage tin. 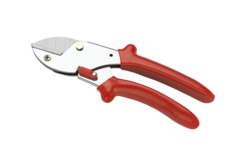 We manufacture, supply and export quality Flower Cutters for your garden with red handle We offer customization on our range as per the requirements of clients.